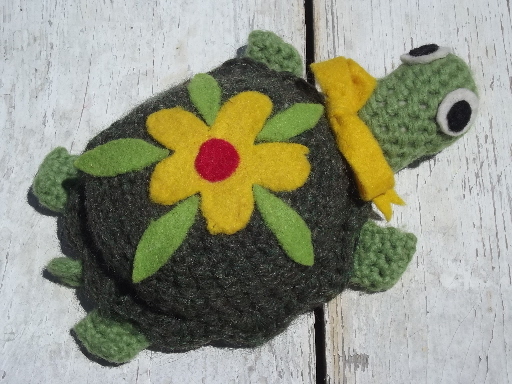 Retro felt wool crochet toy turtle, vintage sewing pincushion, cute! 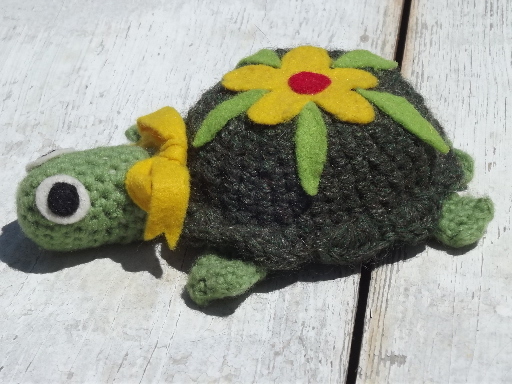 Cute 60s 70s vintage felted wool yarn crochet turtle pin cushion for your sewing box, trimmed in bright colored wool felt. 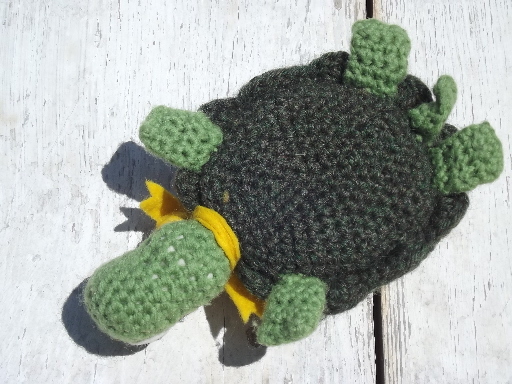 He&apos;s about 6 1/2" long, nice and clean, in very good condition.